Insulation Pros of Colorado is proud to offer residential wall insulation services that can help you improve your home’s efficiency and maintain a comfortable, stable temperature throughout the year. We offer special discounts for first-time clients, so don’t hesitate to reach out to our insulation contractors at 303-731-0402 or through our online contact form. We look forward to working with you soon! If you have an older home, then you probably don’t have as much insulation as your home needs. The majority of older homes in Colorado were constructed with outdated insulation, too little insulation, or without any wall insulation whatsoever. In any case, suboptimal wall insulation is likely costing you hundreds of dollars every year in energy loss. There are ways to perform a do-it-yourself insulation inspection, but a professional insulation contractor can provide you with a much more reliable indication of your home’s efficiency. To understand the importance of wall insulation, it’s helpful to have an understanding of how insulation works in general. We won’t get too in-depth in this explanation, but heat flow has three basic components: conduction, convection, and radiation. While each of these mechanisms has distinct and important properties, heat will always transfer from a warm area to a cool one until there is no longer a difference in temperatures. When it comes to your home, this means that heat will flow from heated areas like your family room and bedroom to unheated spaces like your attic and possibly the outdoors. Heat loss means that your heating and cooling system has to work even harder to maintain a stable temperature, and you’ll likely see your energy bills rising as a result. Uninsulated walls account for 25 to 50 percent of energy loss in homes around the United States, so it’s no surprise that many homeowners are choosing to invest in wall insulation. When it comes to insulation, we can actually measure how resistant to heat transfer a specific type of insulation is. We refer to this measurement as the R-value of the insulation – the higher the R-value, the greater the insulation’s heat resistance. R-values change according to the volume and density of the insulation, and R-values can also fluctuate according to compression and where it is installed. At Insulation Pros of Colorado, we offer no-cost, no-obligation energy assessments that provide you with a detailed report about your home’s energy retention. We’ll recommend a specific type of wall insulation that maximizes your home’s ability to retain warm and cool air, providing you with maximum comfort and lower utility bills each month. Why Choose Insulation Pros of Colorado? The answer is in our name – we’re Denver’s Top Rated Local® insulation company, and our insulation contractors are dedicated to providing each and every customer with an exceptional experience. Our insulation contractors use cutting-edge techniques and high-quality products to ensure that every customer receives an above-average experience. As part of our ongoing commitment to superior customer service, we offer a 10-year labor warranty on all of our insulation installations. We’re a proud supplier of Owens Corning Insulation, and we guarantee that our prices will beat the competition by at least 10 percent. Owen’s Corning Insulation is fireproof, non-corrosive, and manufactured using recycled materials. It also boasts a higher R-value than other forms of insulation, making it an all-around great insulation choice. We’ve helped hundreds of Colorado residents improve their homes, and we’d love to help you maximize your home’s ability to keep you and your family comfortable throughout the year. 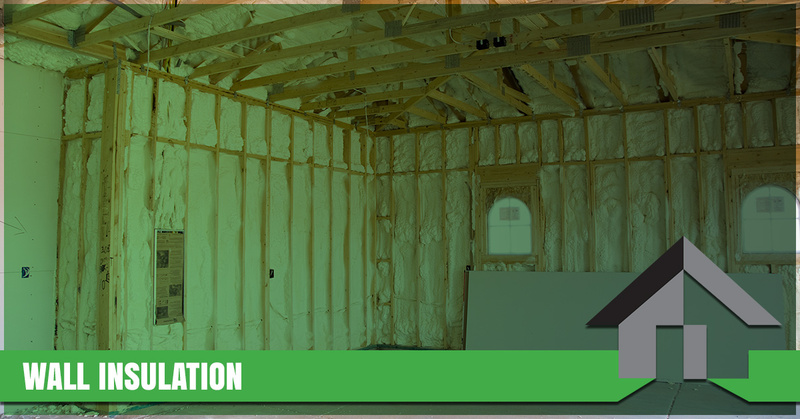 Are you ready to get started on an insulation installation? Speak with an insulation contractor today!